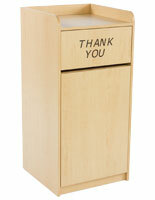 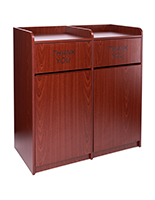 These maple wooden restaurant trash cans are the best accessory to have in any food establishment. 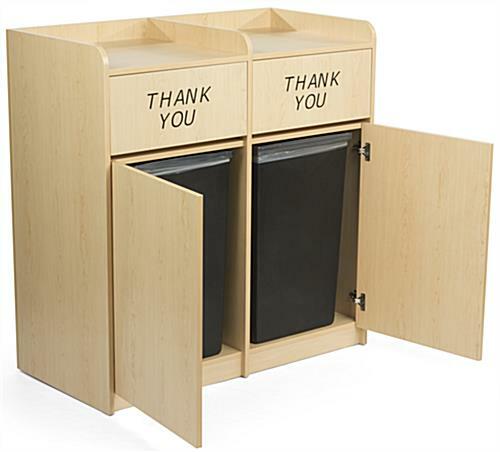 With recessed top shelf areas, customers can easily discard of trays or baskets in an organized fashion. 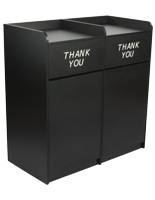 Assemble your garbage containers to hold (2) 36 gallon trash can receptacles simply with the included hardware and tools. 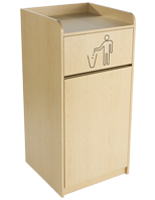 The wood finish offers a contemporary look that blends well in a variety of different environments. 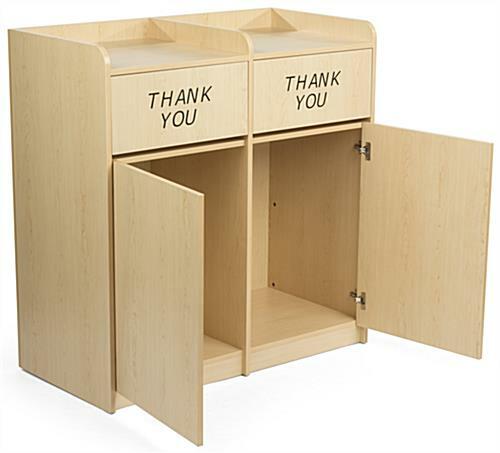 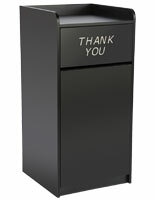 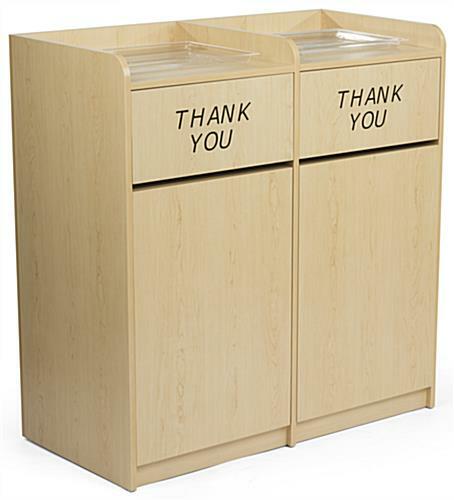 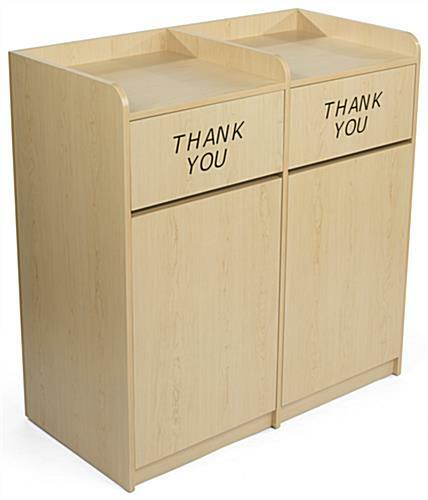 Each swing open garbage container door features an engraved “thank you” message. 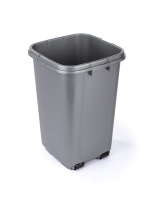 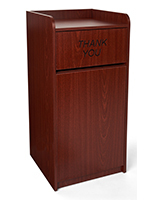 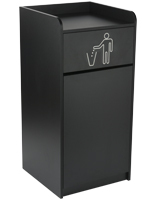 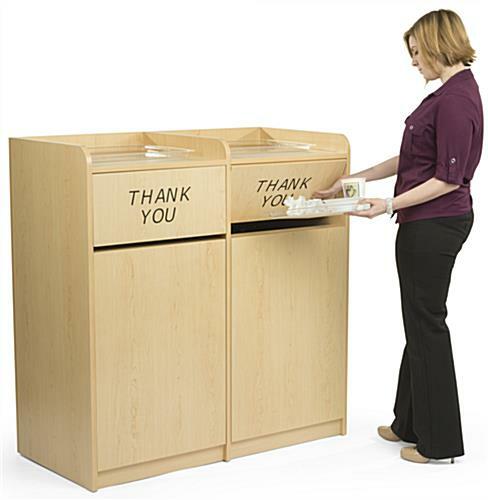 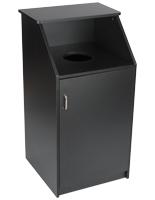 Use these trash cans at chain eateries, food courts, and other establishments to hide your refuse and keep a clean appearance.